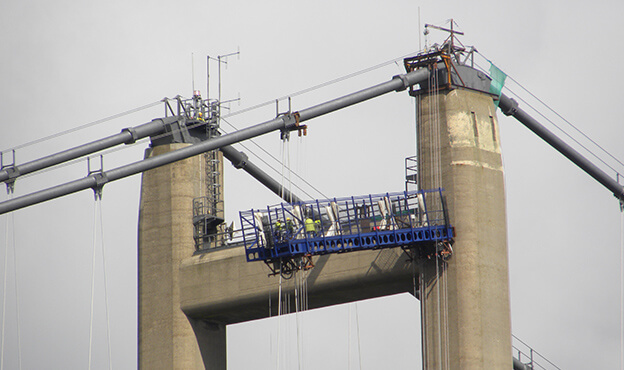 We were commissioned to undertake these works due to the success of our Forth Road Bridge and M48 Severn River Crossing projects. 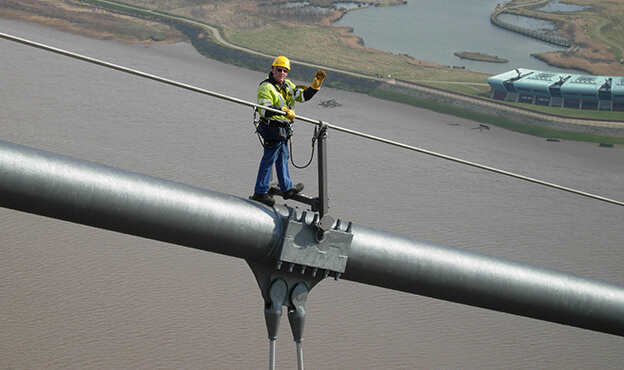 Using our bespoke ‘cable crawler’ access gantry, we installed a dehumidification system to the main cables to inject dry air into the cable at a number of locations. 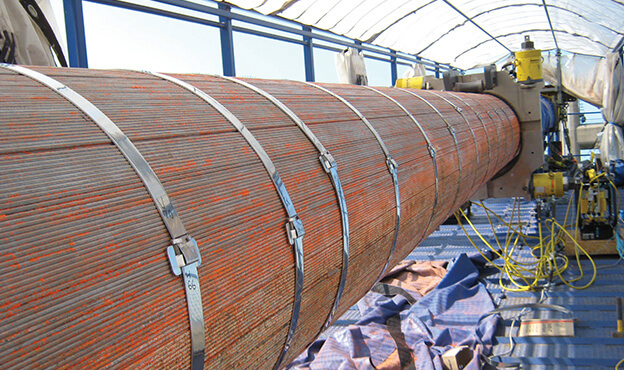 This reduces the speed of corrosion and extends the life of the cables. A key part of the process is the subsequent sealing of the cables to create an air-tight environment.